Essential to all good e-commerce sites is ease of navigation and reduced number of clicks to complete the checkout process and receive goods. 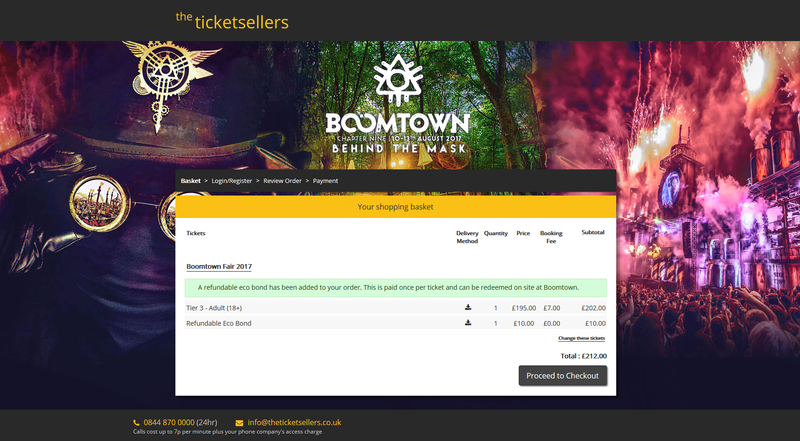 To maximise conversions, we’ve analysed the process flow, adhered to industry best practise and are proud to say that our new streamlined checkout is among the best around. Should your event require an important message, such as the addition of a recycling bond, or a prompt to donate to charity, then no problem, they can be added within the slick UI. Simple, quick, secure, and it works great on mobiles and tablets too.